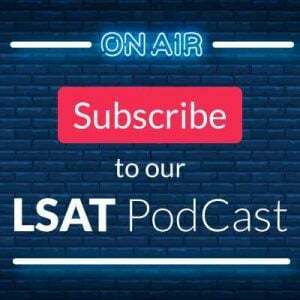 The area of LSAT accommodations has, in the past, been shrouded in mystery, and even controversy (LSAC has been engaged in a series of lawsuits related to accommodations and test score flagging, which we will discuss in Part 4 of this series). In brief, taking the LSAT with accommodations means that individuals with certain disabilities can take the LSAT under altered circumstances, with these changed circumstances intended to level the playing field for the applicant. What are these altered circumstances? In some cases the accommodation need is obvious. For example, an individual with a visual impairment might need a larger font LSAT, or may need the LSAT in Braille format. Or, to cite another example, it makes sense that an individual in a wheelchair would need a wheelchair-accessible test center. However, the last two accommodations on the list—additional rest time between sections and additional testing time—are the ones that often engender the greatest interest from students interested in accommodations. Let’s look at those two items in more detail, if only because the need for them might seem less obvious than the need for the other listed accommodations. During a normal LSAT administration, there is a very short break (less than a minute) between most of the sections. 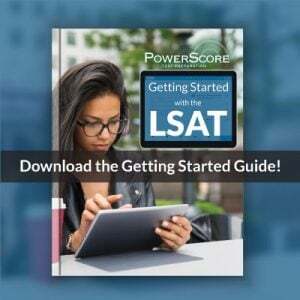 Thus, there is no time to leave the room or move around between the sections of the LSAT (excepting the scheduled break between sections 3 and 4). Under this particular accommodation, the test taker is allowed a lengthier break between each section. So, instead of 15-30 seconds between sections 1 and 2, an accommodated test taker might get 5 or 10 minutes to get up and move around, use the rest room, etc. Who might need such an accommodation? Well, one former student of mine was a retired police officer who had been shot in the lower back while chasing a suspect. While she was still able to walk, the injury made sitting for extended periods of time uncomfortable, and thus she was able to use the accommodation time to stretch and regain circulation. This is the accommodation that often creates the most interest. 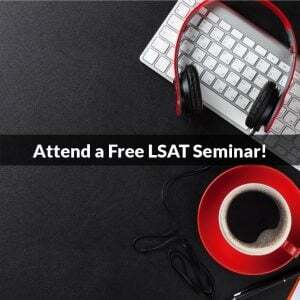 Test takers receiving this accommodation are given additional time to complete each section of the LSAT. How much time? It might be 5 minutes, or 10 minutes, or more (“time and a half,” or an additional 17.5 minutes, is one frequently cited request, as is “double time”). However, because having any additional time is such an advantage, LSAC is very careful about who is granted extra time accommodations (in other words, just asking for it won’t get you extra time; there is a series of documents that must be completed, doctor evaluations, etc., and even then LSAC must approve all of that paperwork). The list of disabilities that might result in extra time is long and varied, but include OCD, ADD, ADHD, dyslexia, learning disabilities, and anxiety disorders. So, the takeaway is that if you have a documented disability, there are mechanisms in place that can result in accommodations ot make your test experience comparable to that of other test takers. However, in order to gain these accommodations, you have to go through a fairly lengthy application process, which we will discuss in the next part of this series.